Check out the Kickstarter - CLICK HERE! It's been a wild week! We launched during Emerald City Comic Con (ECCC) and got to tell a lot of folks about our project. 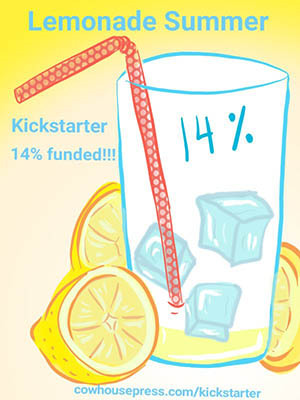 We're currently 14% funded with about 28 days left to go. We'll be posting process posts to share the year-long journey we've gong through so watch this space! What folks are saying about Lemonade Summer!